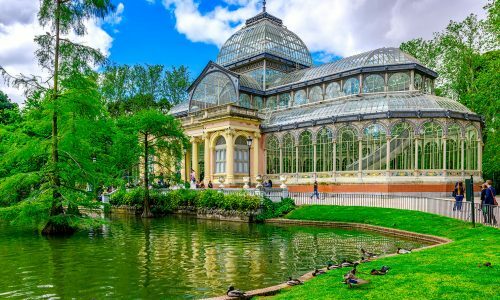 Madrid’s Crystal Palace is an elegantly designed glass building located in a park in Madrid, Spain. The building was constructed in 1887 using glass set in a cast-iron frame. The building originally served as a greenhouse, but today it displays art exhibits.